The community of Pickering/Ajax got together on the weekend to celebrate CANADA 150. 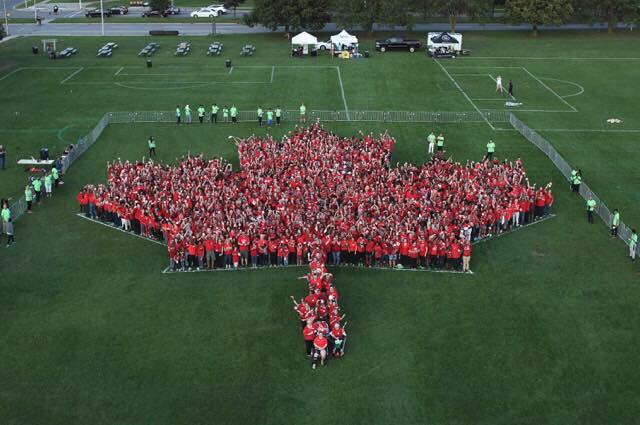 Part of the event included a record breaking attempt to create the largest human red maple leaf. Provincial Sign Systems donated equipment and operators to photograph the attempt from the top of one of our 60 ft. crane trucks. While it is unofficial as of this post, it seems like the attempt fell short by a mere 55 people. Regardless, it was a super turn out, lots of fun, and a proud time to be a Canadian in Durham Region. When you look to the south and see the turmoil in the USA and then you compare it to our celebrations of Canada and being Canadian, regardless of our roots, you realize that we truly do “stand on guard” for each other and for a strong and united Canada.